As I mentioned in a post a few days ago, people have been interpreting my bat-covered car as a Batman car ever since Bane was the featured villain in the latest Batman movie. The logical solution is to get new license plates. Since then, two more incidents have encouraged that solution. Both happened at a stoplight. In the other, which happened just two days after my Batty Car post, I was sitting at a stoplight when a large pickup truck driven by some idiot who thought his phone call deserved more attention than the 6,000-pound projectile he was supposed to be controlling connected with the back of my car. I got out of my car (by the way, it was five below (about -20 C) that morning) and was immediately bombarded with "I am sooooo sorry." He was also soooo lucky. Incredibly lucky. Like go-immediately-buy-lottery-tickets lucky. The only damage was to my license plate. Thanks! It varies from state to state. I don't see a lot of custom plates in Colorado because the process is tedious and about 15 years out of date (you have to mail in a paper request). In contrast, Virginia has a website where you can order custom plates with just a few clicks; I saw custom plates constantly when I lived there. Australian Licence plates are boring, bright yellow, often with silly slogans for the states. Nooo. Someone down the road has B0W11E or something similar (one of the 1s might be an I) I get excited everytime I see it even though I know it's not David's car. It must be frustrating for you. 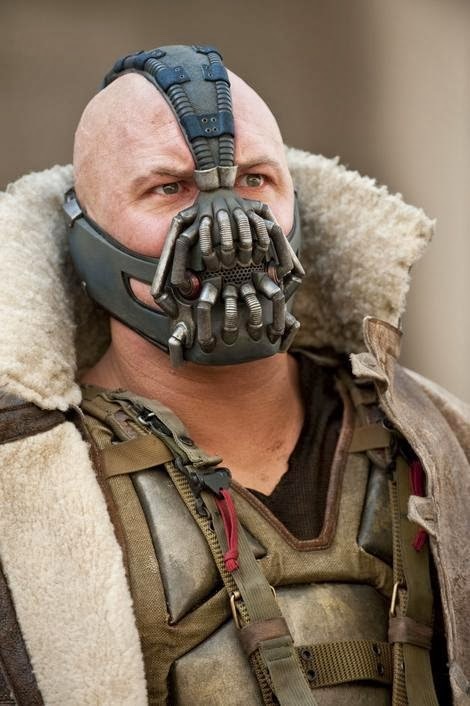 Even though Bane is a cool character, it must be frustrating feeling like he has kind of stolen your identity. I kind of get that with the one other Laura Morrigan out there, especially when Goodreads accidentally credited her with my story it got fixed up). Most US states have a slogan as well. Many are silly, but the one on Washington, DC plates is pretty cool -- "taxation without representation." Washington, DC does not have representatives in Congress, but Washington, DC residents do pay taxes. Thus "taxation without representation," something the constitution expressly forbids... but still happens in the capital. Yikes, that would be awful to have your work credited to someone else. Glad it got corrected! Godness I'm happy that you didn't get a whiplash injure in the neck by this accident. Have you decided what your license plate will say yet? I think the Colorado license plate looks nice. We don't have any decorations at all just white background and black letters. Thankfully the truck was barely moving when it hit me. I have a few ideas. Something like LUVBATS or YAYBATS or BATTY would make sense with the bat decals. RABIES would be darkly funny, but I don't want to encourage people's misunderstanding and fear of bats. LOL Good thing you and your car are okay! I kind of like the CO plates.. NY is pretty boring! There are too many cars in California for me to get any of the clever plates I want. I always wanted "OUTLIER," because who doesn't like statistics jokes? Good one! I like statistics jokes even though I'm not a mean person. Two statistics jokers with an affinity for bats! What are the odds? Nothing makes more furious than someone putting on make up or texting while driving-- it's good that you didn't get hurt, but I would be quite livid as well and I don't even drive! Heh. Y'know, I never saw quite as many vanity plates as I've seen when I moved here. I guess not many people from Calgary are too interested in snazzy plate numbers, heheh. I felt that way when I moved to Virginia. Seemed like everyone had a vanity plate! 666 BAT is probably too cliche, but it fits the triple number - triple letter layout.